Boy, do I have a treat for you today. 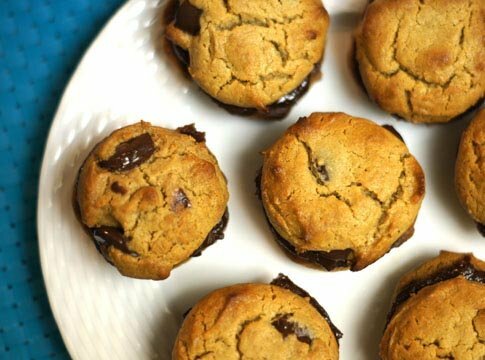 Peanut butter + Chocolate OVERLOAD, in the form of Double Doozies. If you happen to be unfamiliar with Double Doozies (as I was before meeting my husband), they are basically cookie sandwiches, composed of two cookies with a thick layer of frosting in the middle. In other words, it’s a sugar coma just waiting to happen. 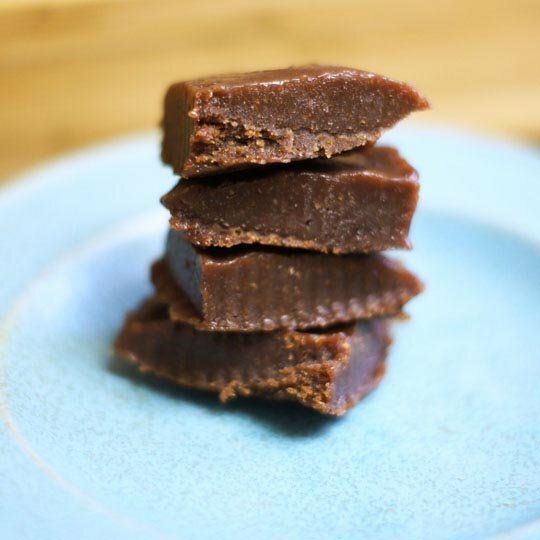 And while this is probably the most decadent thing to come out of my kitchen in a while, my version is still grain-free and naturally sweetened–> meaning you should be able to enjoy these nutrient-dense treats without suffering from crazy spikes in your blood sugar later. Unless, of course, you gorge yourself on them. Then you’ll still wind up in a coma on the couch. Consider yourself warned. Assemble 8 of your cooled cookies onto a plate, bottom-side facing up, and spread a thick layer of frosting onto each cookie. Create “sandwiches” with the remaining 8 cookies, then serve immediately, or chill in the fridge for a more solid treat! In a small bowl, whisk together all the ingredients until smooth and creamy. Add water, as needed, for desired texture. This frosting spreads easily onto cake and cookies, and will thicken further when chilled. In fact, it turns into a creamy fudge when frozen on its own! However you serve it, I hope it’s a hit in your home, too! 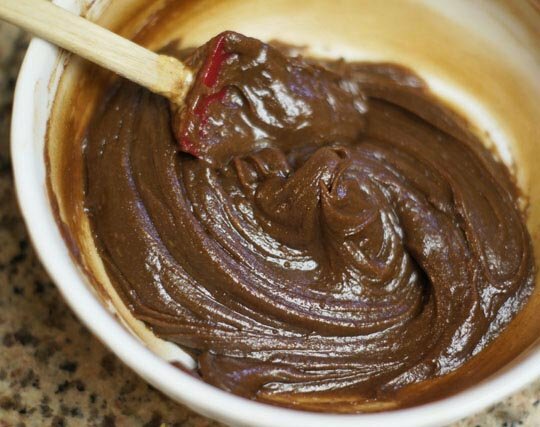 A rich, peanut butter chocolate frosting that's perfect for cookies or cupcakes! In a small bowl, whisk together all the ingredients until smooth and creamy. Add a splash of water, as needed, for desired texture. This fudge makes the perfect "filling" sandwiched between two flourless peanut butter cookies! As usual, this recipe can easily be adjusted to suit your personal tastes. Not a peanut butter fan? Try almond butter instead! 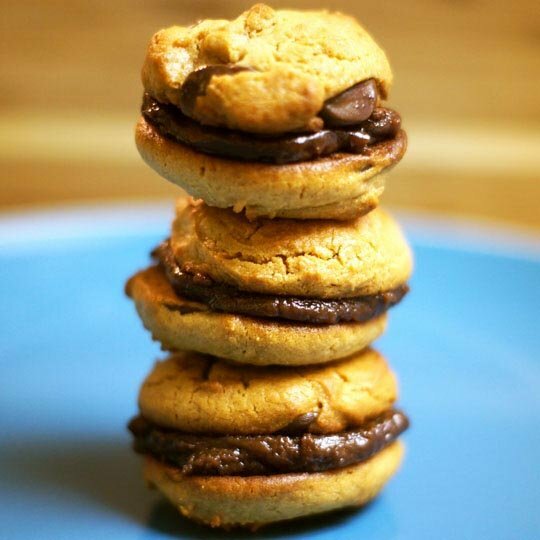 Vegans can easily substitute agave or maple syrup for the honey, and use flax eggs in the cookies. (This keeps them properly combined, to boot!) And if you’re trying to stay sugar-free, I’m sure stevia could be used instead, with a little experimenting. Reader Feedback: Have you ever tried a Double Doozie? Any other childhood treats that you’ve tried to re-create? I made these last night and wow were they good! I forgot to add the bit of water and used maple syrup instead for the frosting, thanks for two great recipes in one. These were sooooooo good! Tastes like pb cups, yummm! Thank you for this fantastic, healthy & scrumptious frosting recipe! I made your Flourless Peanut Butter Chocolate Chip Blondies without the chips but added an extra egg and cocoa powder to make a chocolate pb cake & this frosting was the perfect topping!! I look forward to trying the frosting on other treats and as a fudge, as you suggest! This looks AMAZING!! Thank you for all the incredible recipes!! My husband loves double douzies too!!! These look too delicious for words!! These look awesome! I love that your making grain-free desserts! This gets my vote for the cutest header! That sounds like the best idea EVER. Such a good birthday treat!! 3) I absolutely LOVE your new Easter header!! I love your new header…so cute! 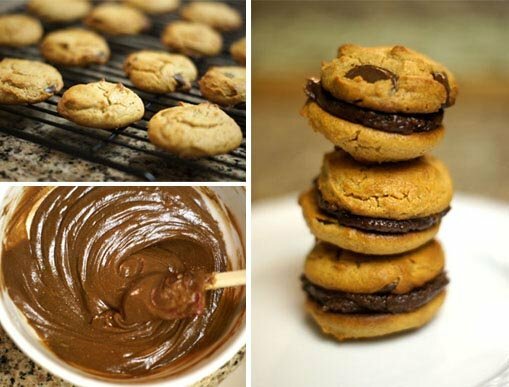 Wow, these cookies look amazing…super decadent! I have never heard of double doozies..crazy!